Here we will discuss top bollywood actresses who did not wear red dresses at their weddings. Well, red is considered to be the traditional colors for Asian brides. These days, brides prefer to wear wedding dresses in different colors. If we talk about fashion and style then bollywood actresses always follow latest fashion trends. 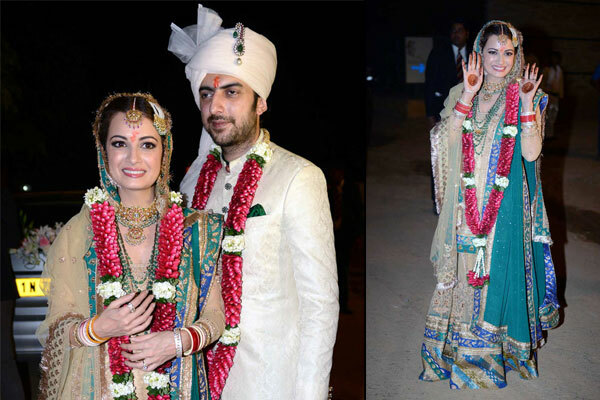 These days, bollywood actresses who are getting married they prefer to wear their wedding dresses in different colors. Now the question is that which bollywood actresses did not wear red dresses at their weddings? In this post, we will discuss top bollywood actresses who did not wear red dresses on their weddings. On number 1st, we have Aishwarya Rai Bachchan. On her wedding, she wear golden yellow saree and she look extremely beautiful on her wedding day. On number 2nd, we have Konkana Sen Sharma. 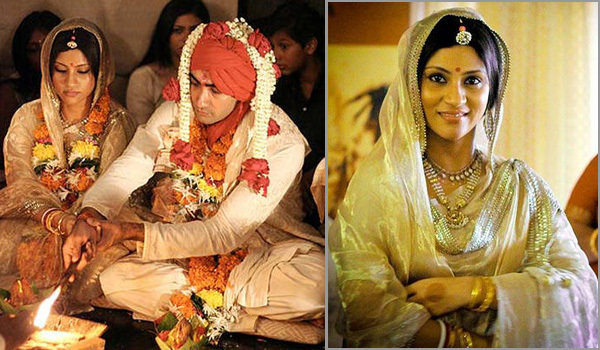 She married in 2010 with Ranvir Shorey. On her wedding day, she wore golden cream saree. She also wear matched traditional jewellery. She looked stunning and beautiful. On number 3rd, we have Karishma kapoor. We would like to mention that she choose pink bridal dress on her big day. Basically, her bridal dress include beautiful lehenga choli, matching jewellery and chooda. On number 4th, we want to mention Dia Mirza. On her wedding day, she wear beige and blue sharara and her bridal dress is designed by Ritu Kumar. She looked beautiful and stunning. Lastly we have Neelam Kothari. She married with film and television actor Samir Soni. She wear subtle beige saree with beautiful red border. 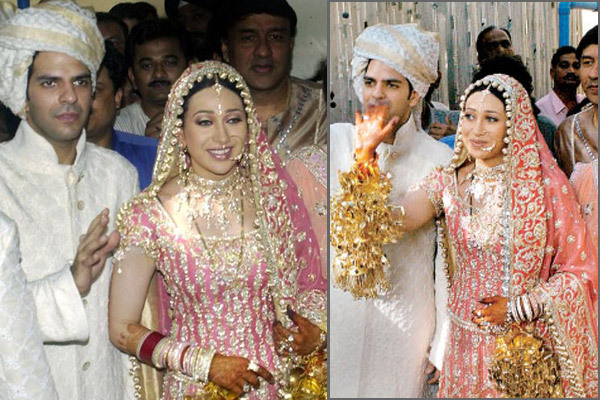 So these are considered to be top bollywood celebrities who did not wear red dresses on their wedding day. After seeing the pictures we can say that all of them looked beautiful.